Leading up to the start of the fall semester, FIU News will be highlighting standout members of the Class of 2022, the best in FIU history. 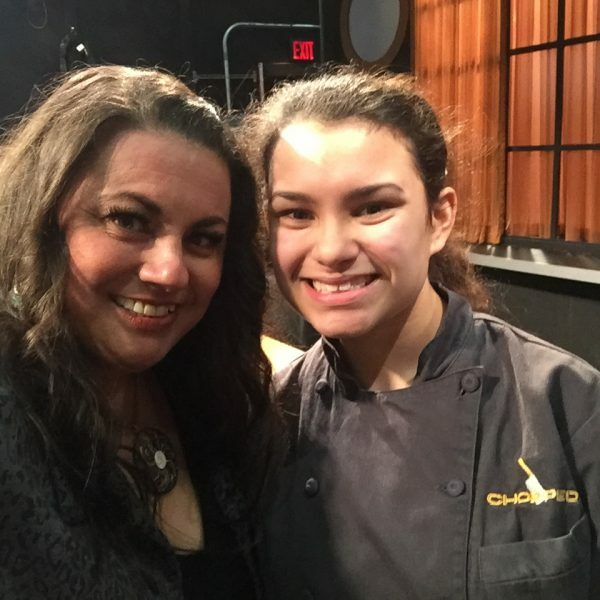 It was the final round of the 2016 Chopped Teen Tournament. The only thing that stood between Eliana de Las Casas and the grand prize was a basket. When she opened it, it was filled with mangoes, graham crackers, cream cheese and gelatin. It was the basket of de Las Casas’ dreams – literally. “The night before the finale, I had a dream that those exact ingredients were in my basket, and I made mango float – a Filipino dessert – that my Nana taught me how to make,” de Las Casas said. As the clock ticked down, de Las Casas plated her mango float and presented it to the judges. While she may have dreamed about the challenge, she never could have imagined what came next. She was named the Chopped Teen Grand Champion. de Las Casas – known as Kid Chef Eliana – is the author of three cookbooks, and the CEO of Eliana Cooks! and Spice It Up! 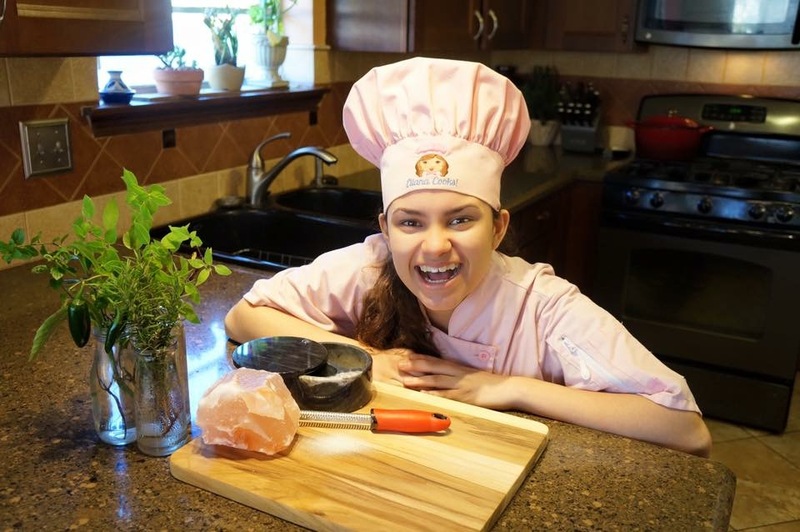 One of the outstanding students who make up FIU’s incoming freshman class, de Las Casas – known as Kid Chef Eliana – is the author of three cookbooks, and the CEO of Eliana Cooks! and Spice It Up!, a seasoning blend company that she started with her winnings from Chopped. In many ways, de Las Casas was born to be a chef. As a child, she never asked for the newest toys for her birthday or Christmas. Instead, she wanted cooking aprons, a stand mixer – and even a meat grinder. One of her fondest memories is helping her mother, Dianne, make breakfast – scrambled eggs, bacon, pan-fried herbed potatoes and toast with F.R.O.G. jam — a Southern jam made with figs, raspberries, oranges and ginger. Last year, de Las Casas’ mother was home alone when a fire broke out. She unable to escape. One of those doors was Chopped. In 2015, de Las Casas received an email from the Chopped casting producers. Never imagining herself being on a television cooking competition, she nearly passed up the opportunity. She answered the email. Several months later, de Las Casas left her home in New Orleans and traveled to New York. Before the show began filming, her mother reminded her that she wasn’t competing against the other kids, because they would be her colleagues in the future. Instead, she was competing against the mystery ingredients in the basket. “And don’t forget to cook from the heart,” her mother told her. These are words she would keep with her throughout the competition – and that remain with her today. In the fall, de Las Casas will begin studying culinary management at FIU’s top-rated Chaplin School of Hospitality & Tourism Management. For many years, it has been her dream to headline as a cooking demonstration chef at the Food Network & Cooking Channel South Beach Wine & Food Festival. Now, she’s one step closer to that goal. For more than a decade, the festival has raised more than $28 million for the Chaplin school and also has connected FIU students to internships and job opportunities.